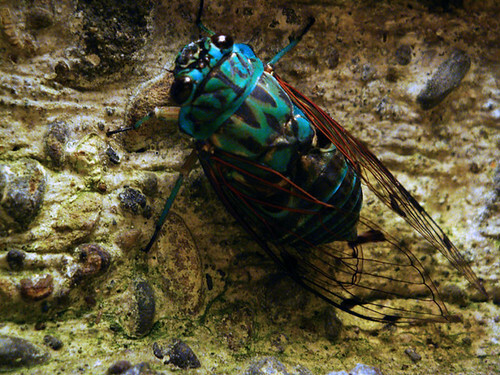 Cicada, originally uploaded by m.gold. Check you this blue cicada from Costa Rica! I think that’s where I’m going for my next vacation. Beautiful beast and probably a rare colour morph! Must be missing a bit of yellow pigment and the green moves to blue. Zammara calochroma?